For more information download ECU Melbourne and ECU Sydney Course guide. 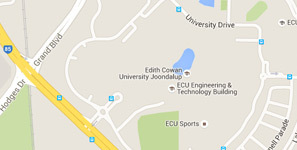 Note: ECU courses in Sydney and Melbourne are for international students only. Course units are limited to those available at these locations. Students aren't able to complete units online, at another institution (cross-institutional), or change study locations without permission from ECU. If you’re considering study at ECU Melbourne, and you're already living in Australia, our scholarship for onshore students could offer a 25% reduction in your course fees. Check your eligibility for this, and other ECU Melbourne and ECU Sydney scholarships. Everything you ever wanted to know about being an ECU student and living in Australia is in this Student Guide. These videos from Visit Melbourne and Study Melbourne will give you a sense of what it’s like to live and study in this cosmopolitan city. What makes Melbourne the world's most liveable city? Disclaimer: ECU takes no responsibility for the accuracy, currency or completeness of information provided in these videos.